Shopping for a health-conscious friend is a tricky task. You want to find the perfect gift they’ll enjoy and use without hurting their feelings. Example: Last year my dear, sweet, lovable boyfriend bought me a scale. That’s right. A. Scale. * And, no. I did not ask for one. His mind was in the right place – I am health-conscious. And it was a high-tech, bells-and-whistles scale. But still. It was A. Scale. So unless you know a person really, really well, stay away from Weight Watchers memberships and scales. Especially scales. To help you with your holiday shopping, I’ve compiled a few safer items for your fit friends, healthy hubbies or dear dieters. Enjoy! I bought myself one of these heart rate monitors in the summer and I’m in love. 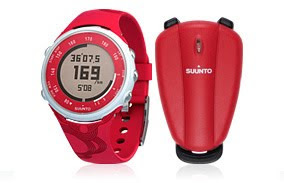 The Suunto t3c heart rate monitor takes fashion and fitness to a whole new level. Now in Sporty Red, your loved one will sport this number on the track or out on the town. 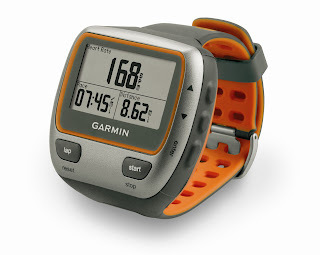 This watch calculates your heart rate and calorie consumption while also measuring your speed, distance, and cadence. It’s easy to use and a great guide to gauge your workouts. For the triathlete in your life, you’ll have to bring out the big guns. Garmin’s Forerunner® 310XT isn't afraid of getting wet. It tracks distance, pace and heart rate, and can easily be mounted on a bike as well. Looking for something for that crazy winter runner friend? Saucony has the mitten for you. 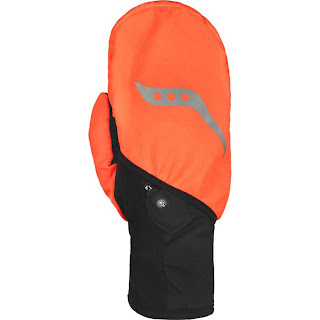 The ViZi-PRO Ulti-Mitt is orange, has a pocket to stash things, cloth wipes for that runny nose and an LED light on the right mitt. A magazine subscription to Men's or Women’s Health is a great catchall for that health nut who dabbles in everything. Plus they’ll think of you every month for the next year. If a magazine isn’t your friend’s cup of tea, get her a Fruit of the Month subscription. 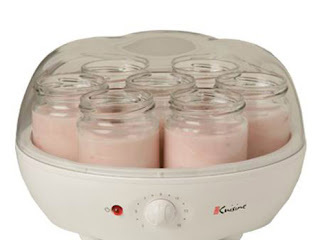 Buy the Automatic Yogurt Maker by Euro Cuisine. It’s easy to use so you can have fresh yogurt without any mystery ingredients. The first time I laced up a pair of mesh-top running sneakers in the winter, I felt like hibernating. Apparently, the guys at RunWarm felt the same way. Their ShoeGlove is the perfect stocking stuffer for a winter runner. 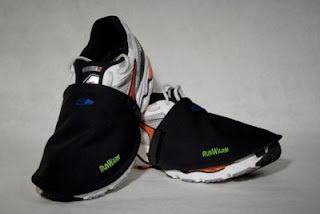 It’s a comfortable, water repellent, wind resistant layer that will keep you feet nice and warm on those winter runs. Who wouldn't want a t-shirt like this to remind them to make healthy choices? 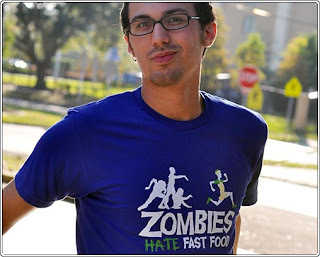 "But zombies don't have to worry about getting fat, so it doesn't really matter." Have you started your holiday shopping? What’s on your wish list? *And we’re still together. Can you believe that?? This entry was posted by kate, on Wednesday, December 16, 2009. You can leave your response .